You’ve probably read about calcium and vitamin D in the news, where headlines highlight the need for these crucial nutrients — and the fact that most of us don’t get enough of them. What doesn’t make headlines is the parathyroid, the four little glands in your neck that are tied closely to both calcium and vitamin D. When the parathyroid glands don’t work properly, your calcium levels get out of whack, which can lead to longer-term problems such as kidney stones and osteoporosis. Fortunately, parathyroid disease — particularly the most common form, hyperparathyroidism — is easy to diagnose. Below, endocrinologist and parathyroid expert Krupa Doshi, MD, clears up common misconceptions and covers the basics of finding and treating this condition. Because they are located close together in the neck, and because they sound the same, the parathyroid and thyroid are commonly confused. But the parathyroid has its own distinct job, Dr. Doshi says. The parathyroid hormone (PTH) keeps calcium in your bloodstream in check. If you have an abnormal growth on one or more of the parathyroid glands that overproduces PTH, too much calcium can build up in your blood, sometimes to unsafe levels. That’s one cause of hyperparathyroidism, but the most common causes are vitamin D deficiency, calcium deficiency and chronic kidney disease. It may sound strange for calcium deficiency to cause the body to produce too much PTH, but that’s exactly what can happen in hyperparathyroidism. When the body is getting too little calcium, the parathyroid glands are signaled to produce excess PTH to boost calcium levels by improving absorption of calcium in the gut. “I have a lot of patients ask me how much calcium to take daily to avoid this,” Dr. Doshi says. 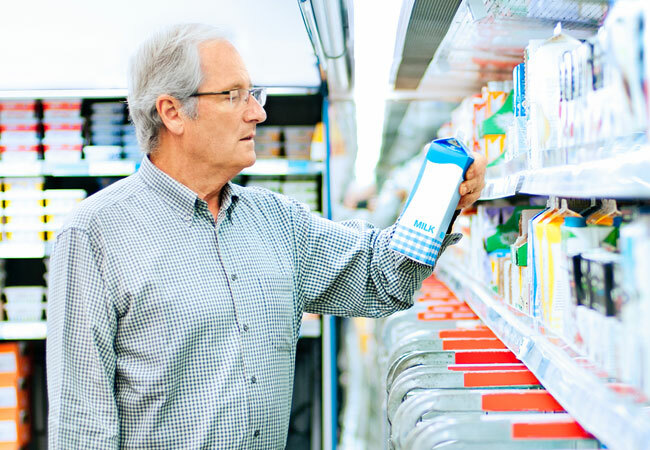 “Most adults need somewhere between 1,200 and 1,500 mg per day, and if you can’t meet those needs through diet, supplementation is necessary.” She advises using the National Osteoporosis Foundation’s calcium calculator. Vitamin D is a similar story. Because vitamin D helps you absorb calcium in your gut, the two are linked. Getting too little vitamin D can cause you to absorb too little calcium, which leads to parathyroid problems. Again, supplements can help. Dr. Doshi says most adults can take 1,000 international units of vitamin D (D3 is the best option) without concerns. “But at some point, especially if they have symptoms related to calcium deficiency, they should work with a physician to determine their needs and how to meet them,” she says. Most people with primary parathyroid disease — caused by excessive enlargement or abnormal growth of parathyroid glands — show no symptoms. In fact, symptoms don’t usually trigger a diagnosis; basic blood testing during a regular check-up does. “The first thing you want to find out is what your blood calcium is,” Dr. Doshi says. “If it’s increased, you start digging for the cause.” Follow-up tests include checking for PTH and vitamin D levels. The three tests together are often enough for diagnosing hyperparathyroidism, which typically occurs in people after age 50, although it can appear earlier. Once the condition is confirmed, your doctor may advise you to get a special kind of X-ray to see if your bones are weaker than normal. Plus, you may also get checked for kidney stones. The good news: Because parathyroid disease is easy to find, you can treat it and avoid long-term problems such as kidney stones, osteoporosis and osteopenia. Since there are no medications to cure primary hyperparathyroidism, surgery remains the main treatment. “Taking the parathyroid gland out essentially cures the problem in almost all cases,” Dr. Doshi says. Removing one or more of the glands — and typically leaving part or all of a healthy gland to keep regulating calcium — can reverse serious issues such as hypercalcemia and kidney stones.